If you run a small business where transactions are made, handling out coins is a necessary part of the job. 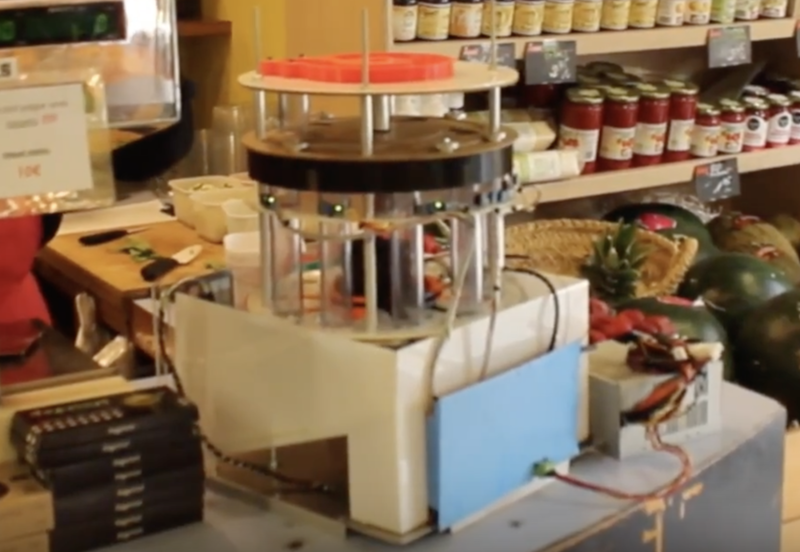 While a cash register does the trick, perhaps you could try out the SmartCash device—a cylindrical electromechanical system running on an Arduino Mega—to help you count coins and make change. Aside from sorting coins, there’s the added benefit that customers will want to come and try it out, maybe even using more cash (and letting you as the owner avoid pesky credit card charges). SmartCash is currently designed to work with Euro coins ranging from 5 cents to 2€. Build information is available in this write-up and on the project’s official site. You can also see it in action in the first video below, or how it’s assembled in 3D CAD in the second. great project,it can change the stores permenantly.